Scientists discovered that northern gannets change their behaviour in response to the presence of large vessels such as trawlers, suggesting each boat can significantly influence the distribution and foraging patterns of these and other marine predators. Northern gannets are known to feed on discards from fishing vessels as well as diving for fish, and their population has been steadily increasing for decades. Studies have confirmed their use of fisheries waste by showing that the birds are eating fish that have come from far deeper than they are able to dive. 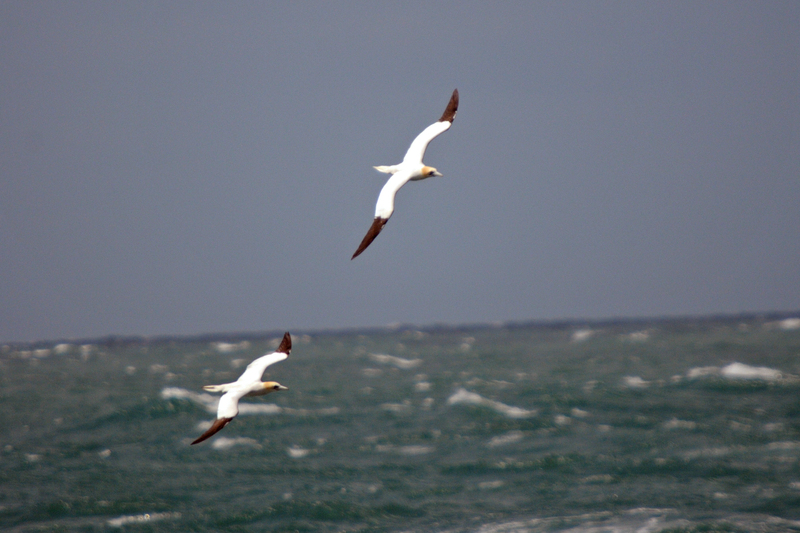 Scientists at the Centre for Ecology and Conservation at the University of Exeter and the Coastal & Marine Centre at University College Cork analysed GPS tracking data from 74 gannets from six breeding colonies around Ireland, and combined these with similar GPS tracking data from fishing vessels. 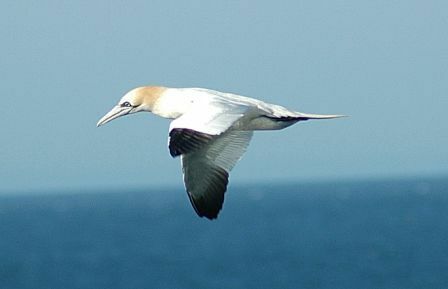 The information gathered revealed that gannet behaviour is influenced by fishing vessels at distances of up to 11km – the first estimate of the distance at which vessels start to affect these birds’ behaviour. Dr Mark Jessopp of the Coastal & Marine Centre at University College Cork, a co-author of the work, added: “The fact that birds responded differently to boats depending on whether they were fishing or not, and the type of gear they were carrying, indicates just how finely attuned these animals are to the opportunities humans can provide”. 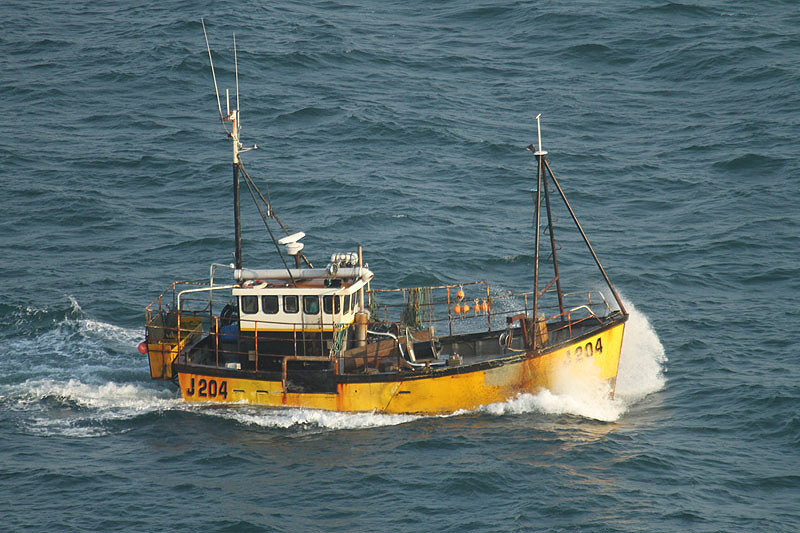 The findings help to understand the spatial influence of fisheries, which is critical to marine planning and policy – including shipping, offshore development, bycatch and fisheries themselves. 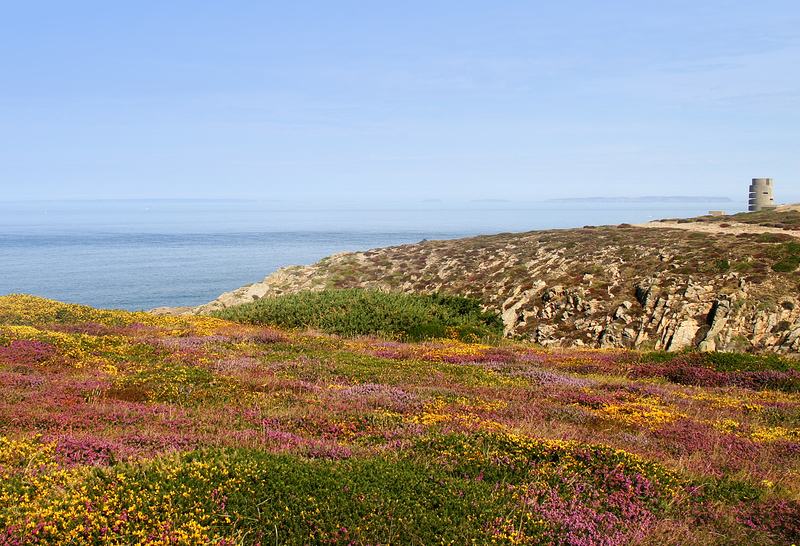 Gannets are the UK’s largest seabird, foraging up to 500 km from their colonies. They forage almost exclusively during daylight hours, with birds resting on the sea surface at night. They are visual foragers with no external nostrils and relatively small olfactory bulbs. The results of this study are published in Current Biology.